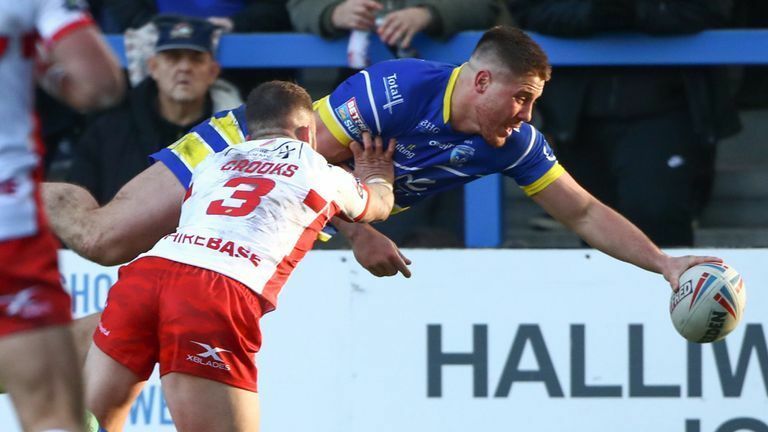 Hull KR captain Joel Tomkins was taken to hospital with severe concussion after his side's 28-14 Betfred Super League defeat at Warrington Wolves. Tomkins was on the receiving end of a hefty challenge from Warrington's Blake Austin while lying on the floor during the first half at the Halliwell Jones Stadium, with Rovers coach Tim Sheens describing his captain as being "in a bad way". Sheens said: "Joel had to go to hospital in an ambulance and he's a sick boy and in a bad way and we are concerned for him. 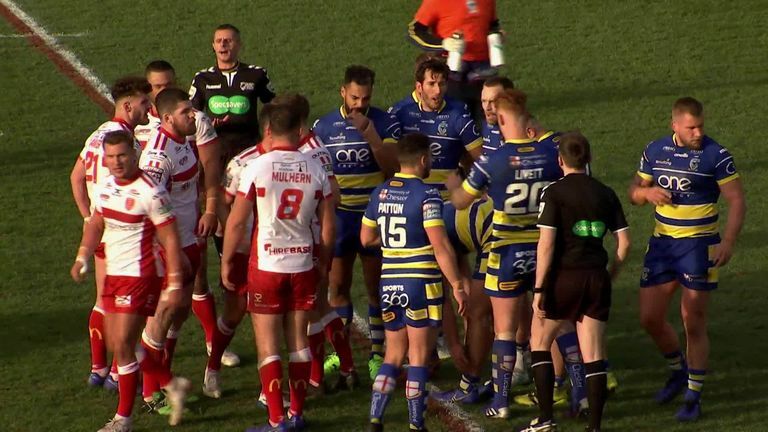 Highlights of Warrington Wolves' 28-14 Super League victory over Hull KR on Saturday. Warrington coach Steve Price gave his thoughts on the tackle, saying: "I thought the Blake incident was him just being aggressive and to be honest, didn't see much wrong from where I was sitting but obviously I will have to review it again." Price was happy to take the two points following the victory but was less than impressed with his side's performance. The Wolves followed up their opening weekend victory over Leeds Rhinos with a hard-earned success to make it two from two at the start of the season. Price said: "I'm pleased with two competition points but it's not a performance we're happy with. "I thought we made it too comfortable for them throughout the game and we expect better of ourselves. "But it's good to knock out a win and still score 28 points in round two against a team that is going to cause others a lot of problems this season. "It's only early but we have a week off next week and will regroup and get ready for Huddersfield." On his side's performance, Sheens was frustrated that his team could not convert the chances they created against the Wolves. He added: "We made a game of it and tries just at the end of half-time and full time changed the nature of the scoreboard. "We created opportunities and just didn't finish them and you can't do that against a side of Warrington's ability. "I'm very happy with the effort, the execution needs to be worked on but against a squad rated to be grand finalists this year then we can hold our head up and know we can get better."